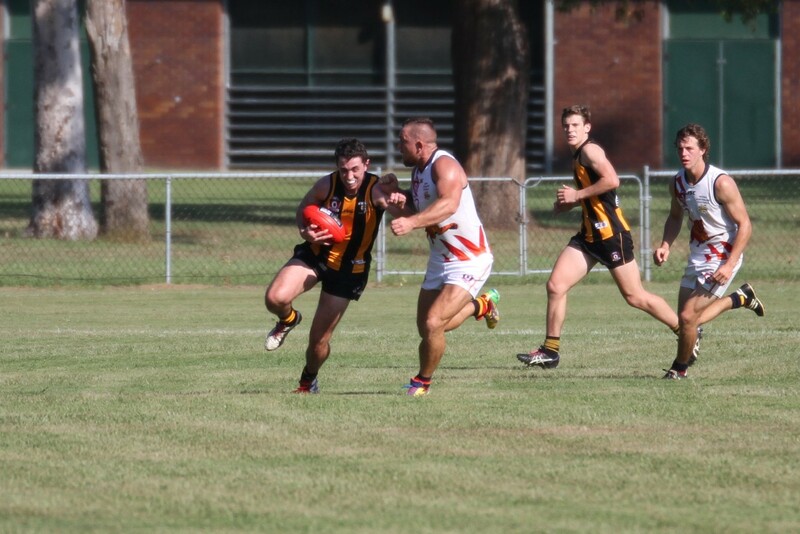 There was no let up in the heat yesterday with the Round 1 clash of the Tigers played at the Mott Street Den in sweltering conditions. After a long pre-season of preparation, both sides approached each other with a new coaching panel and lots of new faces for season 2016 however it was the greater strength and experience that won out in the end. 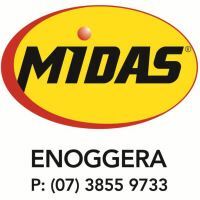 Although Mayne took off to a good start and finished the first quarter with a nine point lead, Noosa were always going to come back strongly which is how the second quarter played out as they kicked 5 goals to Mayne’s one to go into the main break with a handy sixteen point lead and all the momentum. The Mayne team went into the match with only ten of their 2015 premiership side and six debutants all under 20 years of age but plenty at Mott Street are hoping this may prove to be the making of the club for some time to come. The talent and courage displayed yesterday continues to strengthen the view that a local youth strategy is the answer for the future of the club. 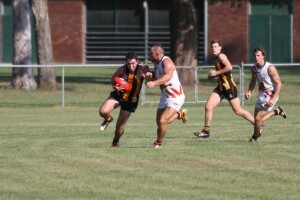 The Tigers were being well served by the experienced but youthful Bill Stephens who showed the way for debutant and former Mayne Junior David Tyquin who displayed composure beyond his years in and around the middle. Up forward Fraser Thompson continues to go from strength to strength maturing to be a key component of the Tiger attack while Jake Magill had leather poisoning playing his usual solid support role in an around the stoppages. After the main break the local Tigers did everything they could to bridge the gap with the ball in their forward fifty for most of the quarter but the Noosa defence was very solid until the last period of the quarter where Mayne kicked three quick majors to get within striking distance and set up an exciting finish. In another nail biting quarter the ball went from end to end with neither side able to break clear. In the end Noosa were able to kick clear to record a deserved win in a game which both sides can be proud to have been a part. The Tigers head up the road next week for the Grand Final replay against the Maroochy Roos in what shapes as a defining round for the competition with only six teams playing this year. Goals: J Craven 2, D Tyquin, C Brunnenmeyer, C Brown, J Ivers, J Griffiths, L Faulkner 1. Best: B Stephens, D Tyquin, F Thompson, D Hartley, J Magill, C Brown.